Claude Monet's impressionist art works Early works from Argenteuil, London and Venice campaigns, Haystacks and Rouen Cathedral series, Nympheas: all the paintings by Monet organized by topics. House and Garden of Monet in West Paris Giverny France with the famous water lily pond, Japanese bridge and flower garden. Blooming calendar. Visitors information and tips to prepare your trip. 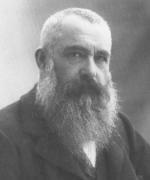 Biography of French painter Claude Oscar MONET (1840 Paris- 1926 Giverny). Lifeline of Monet, master of Impressionism. The village of Giverny Normandy France the village of Monet was an artists colony for American painters and still attract painters today. Claude Oscar Monet Fine Art Exhibitions, all the exhibitions since 1998 dedicated to Monet throughout the world. Monet has never been in Japan, but he has been collecting Japanese woodblock engravings for three decades and has been influenced by them. 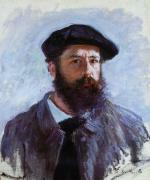 Giverny News, is a daily blog in french related to Giverny and its area and also Claude Oscar Monet and his friends. Giverny Impression is a blog with an impressive Giverny Photo Gallery and with some Giverny Tourist Information including Giverny Day tours from Paris, a map of Giverny area Hotels, Bed and Breakfasts and Restaurants. It gives a background on Giverny Gardens Ambiance as it can be felt by a local Guide Interpreter.